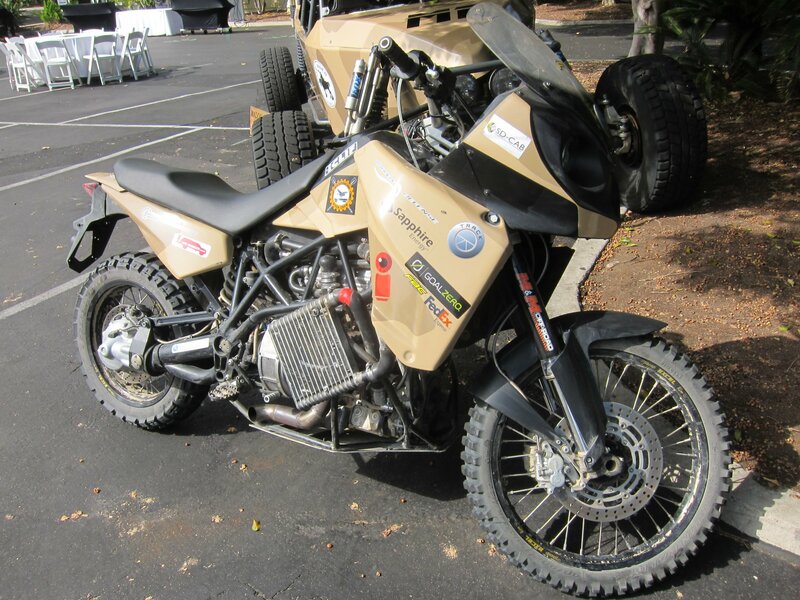 Maddox Defense MD Hawk All-Terrain Turbo-Charged Algae-Biodiesel Baja Racer-Type Military Combat/Tactical Bike (Motorcycle) for Military Special Operations Forces (SOF) Missions: Achieves Almost 100 Miles Per Gallon (MPG) on the Street and 50-60 MPG Off-Road! | DefenseReview.com (DR): An online tactical technology and military defense technology magazine with particular focus on the latest and greatest tactical firearms news (tactical gun news), tactical gear news and tactical shooting news. 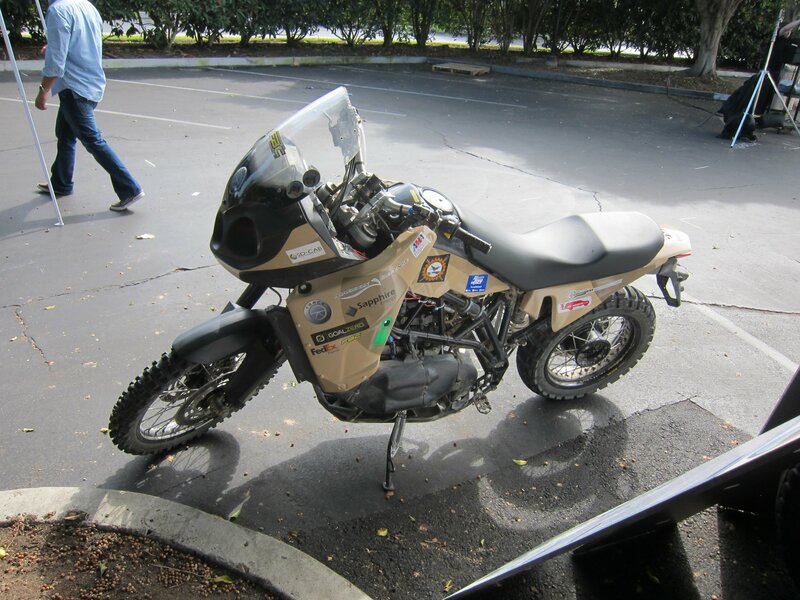 Maddox Defense MD Hawk All-Terrain Turbo-Charged Algae-Biodiesel Baja Racer-Type Military Combat/Tactical Bike (Motorcycle) for Military Special Operations Forces (SOF) Missions: Achieves Almost 100 Miles Per Gallon (MPG) on the Street and 50-60 MPG Off-Road! 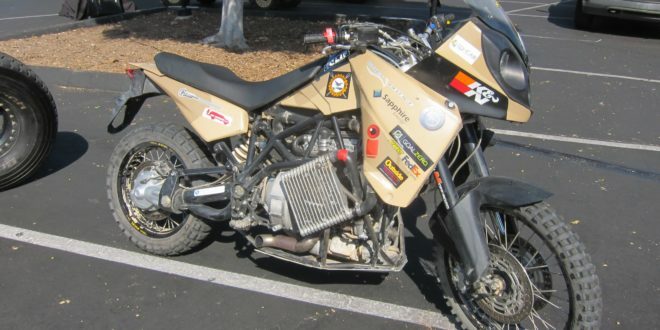 As long as we’re on a military combat/tactical bike/motorcycle kick (see here and here), we should probably discuss the Maddox Defense MD Hawk Baja racer-type 800cc all-terrain biodiesel motorcycle that’s powered by a turbo-charged Mercedes-Benz inline 3-cylinder diesel engine/motor, which runs on algae biodiesel fuel and gets almost 100 MPG (Miles Per Gallon) on the street, and 50-60 MPG off-road. WOW. The bike also utilizes a belt-and-pulley continuously variable transmission, which keeps the torque and power band optimal all the up to its top end, which is about 110 mph (Miles Per Hour). 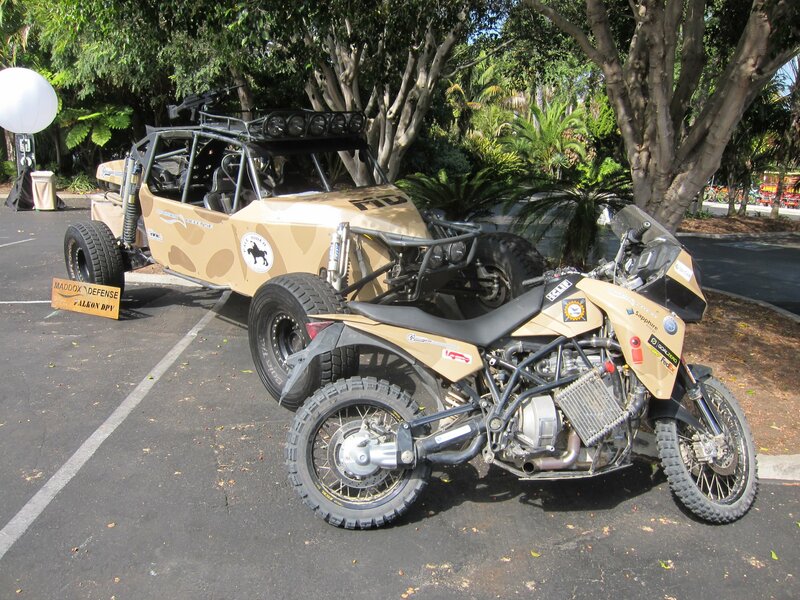 DefenseReview (DR) actually first came across the Maddox Defense Hawk bike at HALO Counter-Terrorism Summit 2012, but for some reason we never reported on it. It somehow fell off our radar, which is strange, since we reported on the Maddox Defense Falkon Desert Patrol Vehicle (DPV) Baja Racer-type all-terrain combat/tactical vehicle shortly after the show, and the Hawk was just as interesting to us. 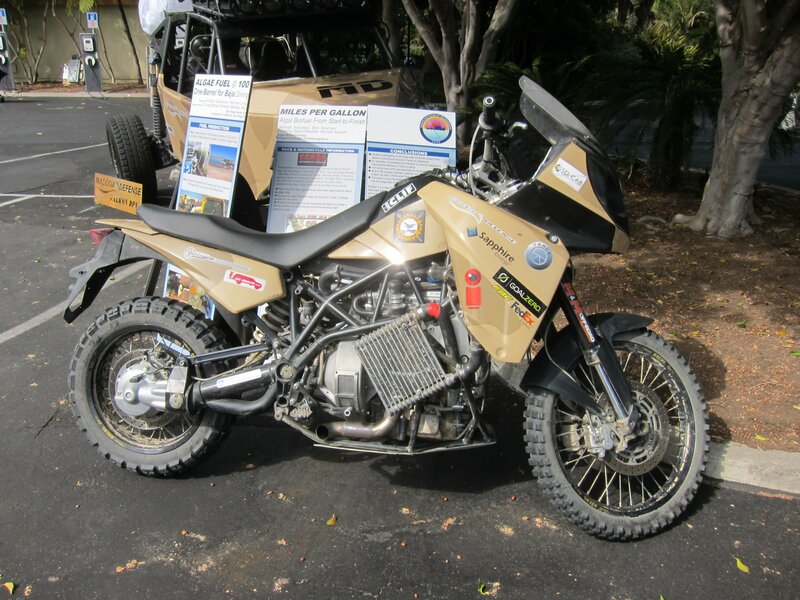 Anyway, the Maddox Defense Hawk turbo biodiesel all-terrain motorcycle, optimized for military Special Operations (SOF) applications/missions, can be configured with different lighting, comms (communications) and navigation set-ups, depending on the mission profile. The Hawk has been used as a demonstration platform for renewable fuel development (biodiesel biofuel) with the help of Scripps Institution of Oceanography, UC San Diego and project sponsor Sapphire Energy in order to show how it works in the real world. Sapphire Energy manufactures the algae-based biodiesel fuel domestically in the United States, and can apparently produces it more efficiently and in greater quantitites than the more common and well-known corn-based ethanol alternative fuel–and you don’t need to utilize farmland or traditional food sources like corn to do it. 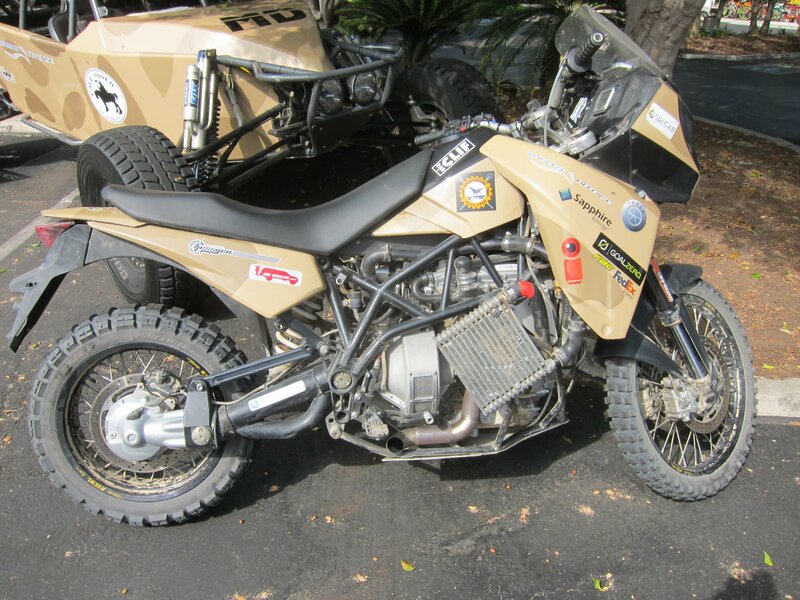 It’s DR’s understanding that Maddox Defense actually raced the Hawk biodiesel bike in the Score International Baja 1000 off-road race shortly after saw it and shot the video below. We’re actually curious as to how it performed in the race. Editor’s Note: Defense Review is going to try to follow up on this article by getting in touch with the Maddox Defense folks to find out the Hawk’s current status, and update this article accordingly. 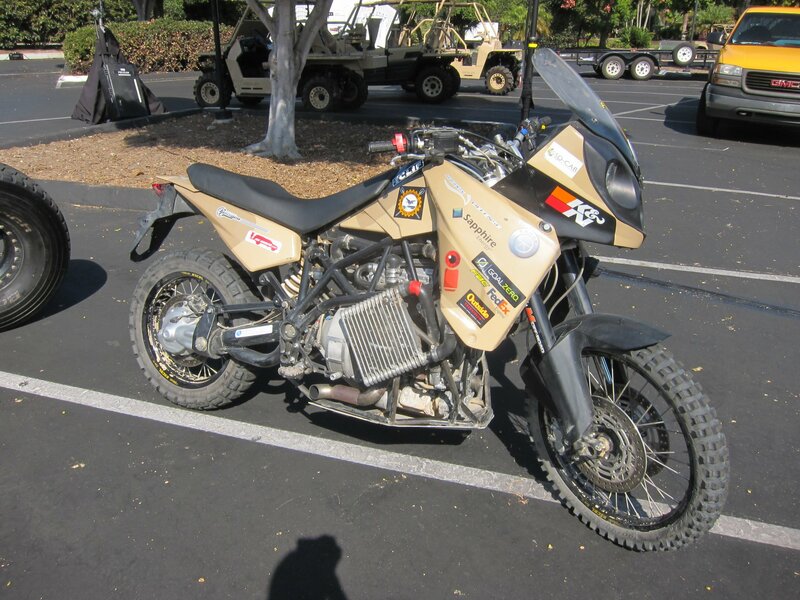 Logos Technologies SilentHawk (also writte Silent Hawk) Hybrid-Electric Military Motorcycle: Flex-Fuel/Multi-Fuel All-Wheel-Drive/All-Terrain Motocross-Type Quiet Bike for Special Operations Forces (SOF) Missions!